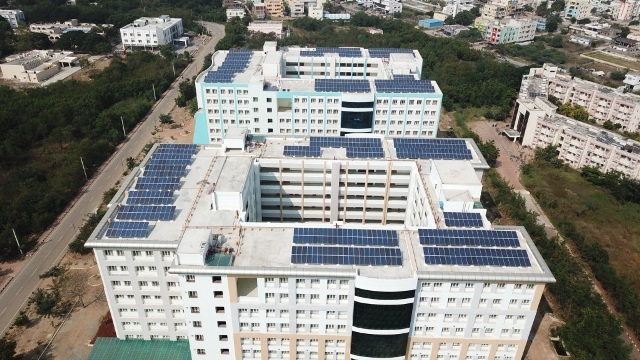 Fourth Partner Energy has announced the commissioning of 8 solar projects with a capacity of 3116 kWp in Telangana, as part of an initiative by the Solar Energy Corporation of India (SECI) to increase renewable energy adoption across government offices, under its 1000 MWp Grid-Connected Rooftop Solar PV System Scheme. The projects have been implemented across prestigious institutions like National Institute of Technology (NIT) - Warangal, Prof. Jayashankar Telangana State Agricultural University (PJTSAU), Central Research Institute for Dryland Agriculture (CRIDA) and select BSNL and CRPF offices. In Telangana, the scheme provides for government offices to switch to solar power at zero capital costs, and avail electricity at a flat rate of Rs. 3.14/unit for 25 years; which will eventually result in average savings of 50-60% in their cost of power consumption. The company offers complete in-house capabilities across financing, engineering, procurement, construction, operations and maintenance. It currently has an installed capacity of 160 MWp across 23 states; and is targeting scaling up total capacity to 400 MWp this fiscal. Fourth Partner Energy is backed by TPG’s The Rise Fund which invested $70mn in the firm, last June.